The mural of this Swedish trio depicts a rocket, a totem symbolising an avaricious civilisation. The rocket will allow humanity to emigrate to another planet when Earth has been fully exhausted of natural resources. The title The Future was Here is a tag, or a signature in graffiti culture, left behind to indicate where they’ve been. The Swedes leave no room for doubt – if we don’t limit our greed, our days on Earth are numbered. Wallride is a trio of Swedish visual artists, Martin Håkansson, Bo Rutter and Simon Karström. Collective's roots go back to the scene skate and graffiti. 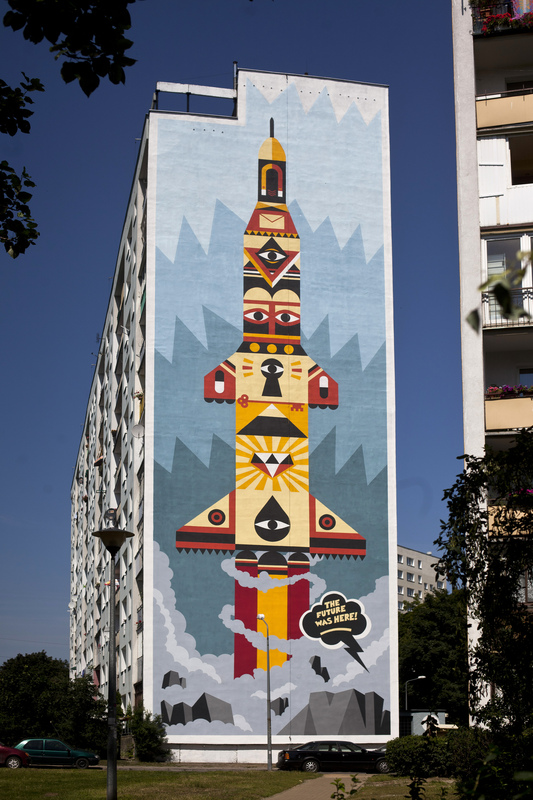 Their work can be described as a broad concept of visual communication in the public space and as with other Monumental Artparticipants , it is not limited to the mural.